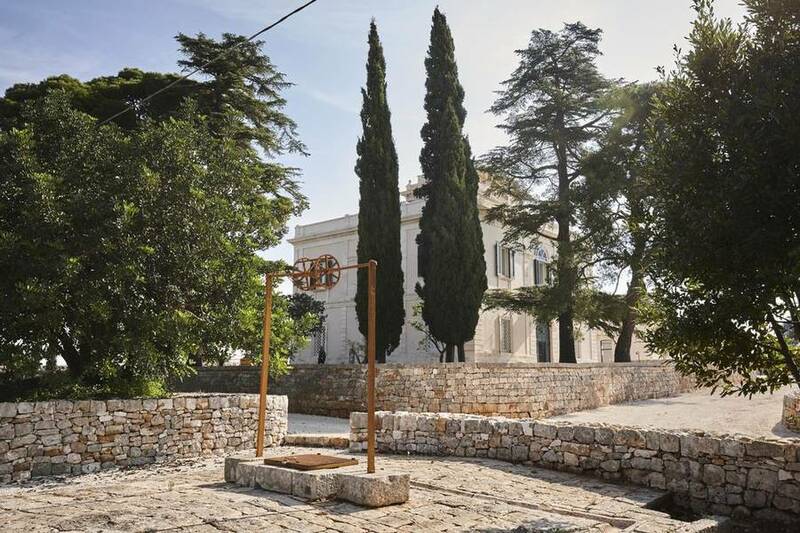 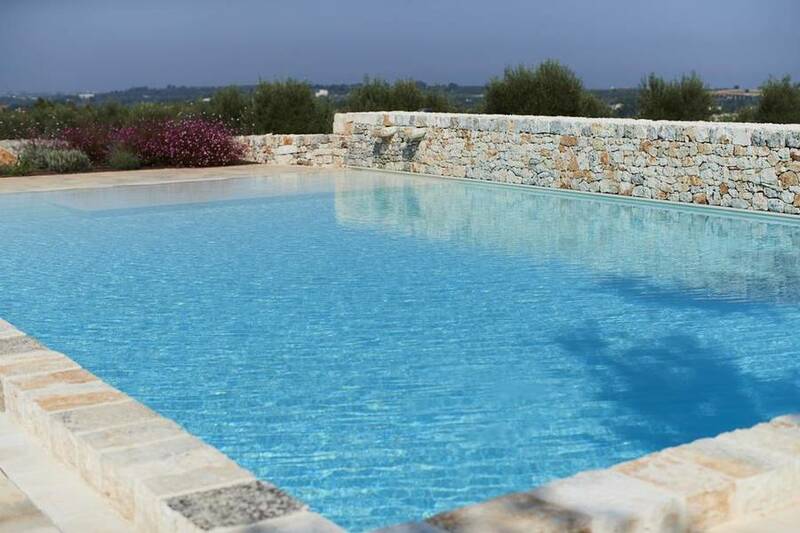 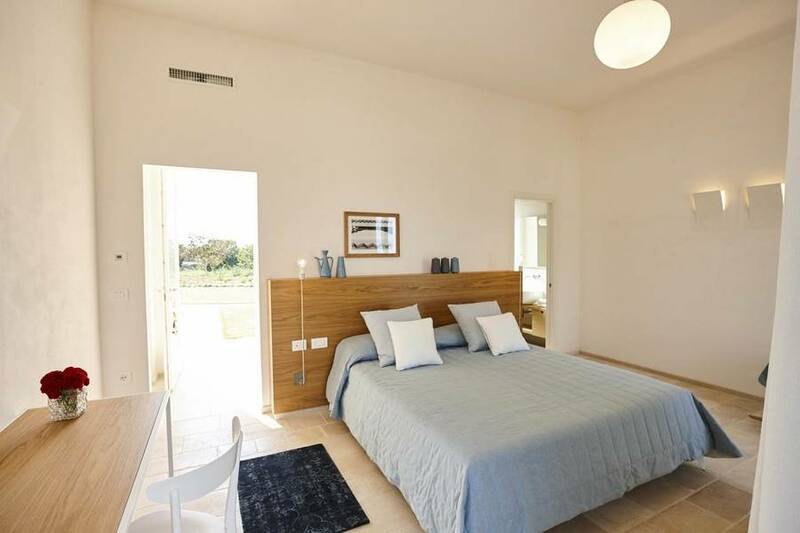 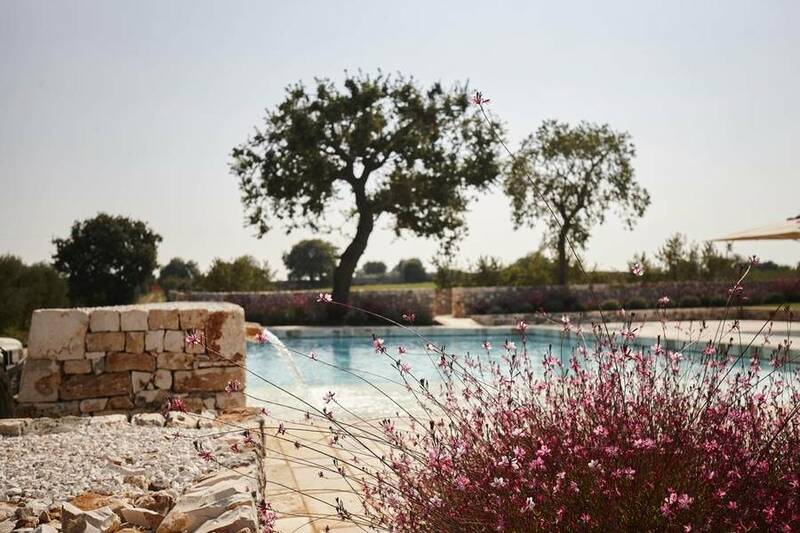 Imagine a holiday in Puglia surrounded by olive trees with the sea shimmering in the distance while you unwind in your private hot tub: make this dream come true at Mazzarelli Creative Resort. 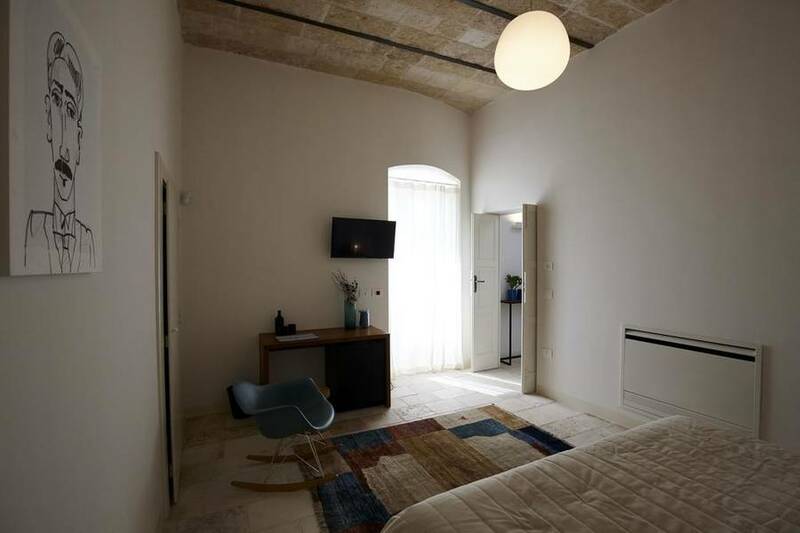 Just outside the famous seaside town of Polignano a Mare but surrounded by Puglia's lush countryside, the resort is perfect both as a base or visiting the surrounding region and as a quiet retreat to savor its authentic side. 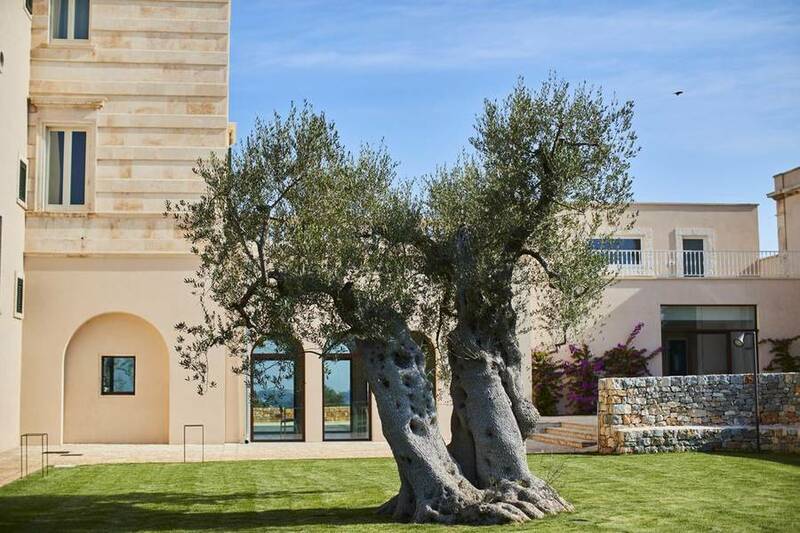 Mazzarelli Creative Resort is located in a former country villa tranformed into a five-star resort surrounded by more than 2,400 olive trees on 20 hectares. 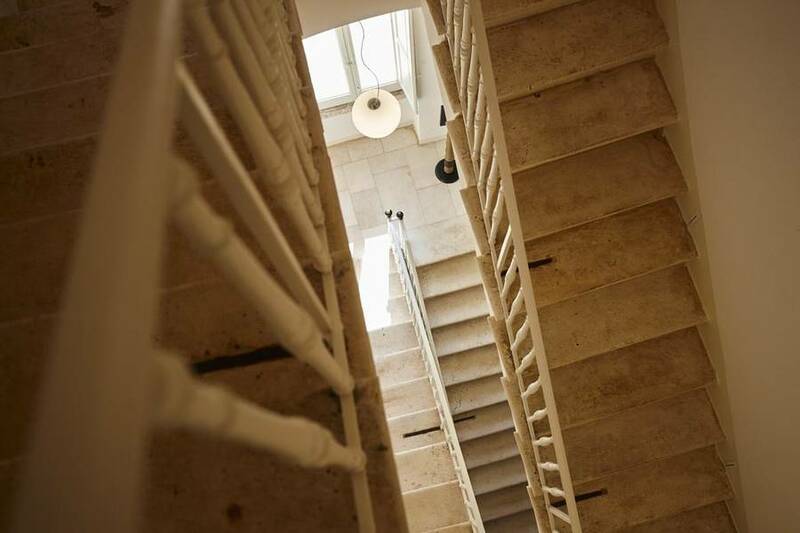 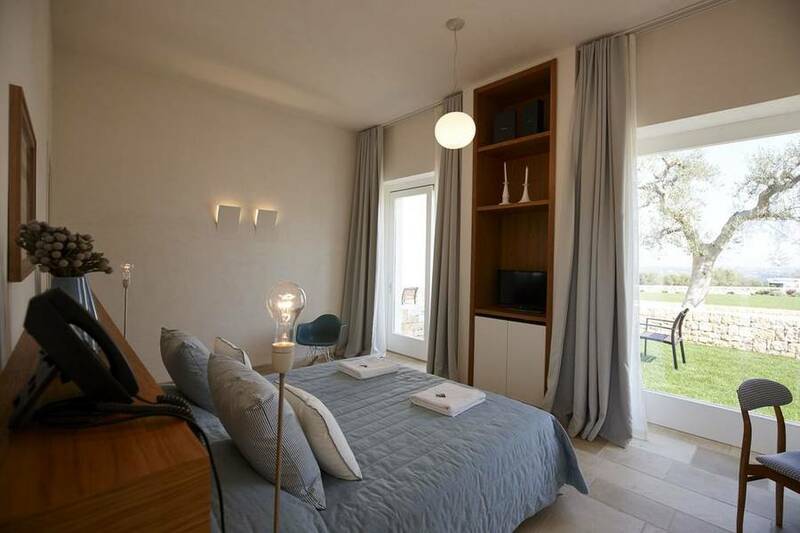 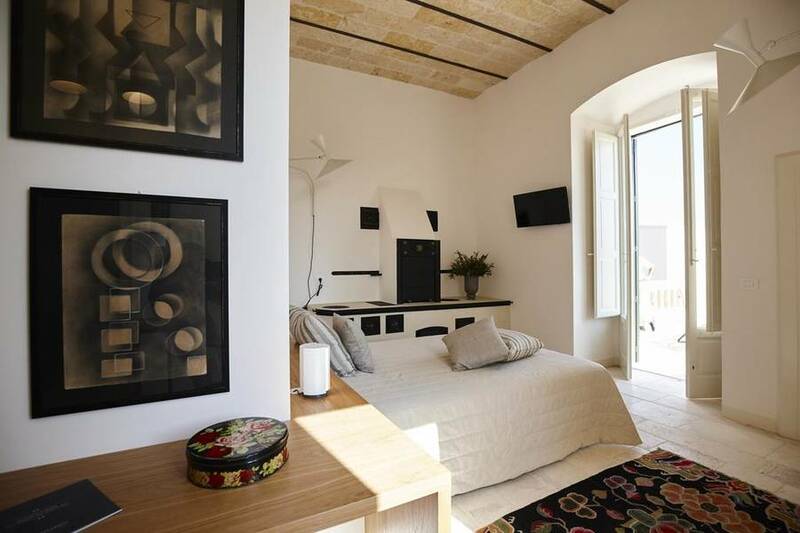 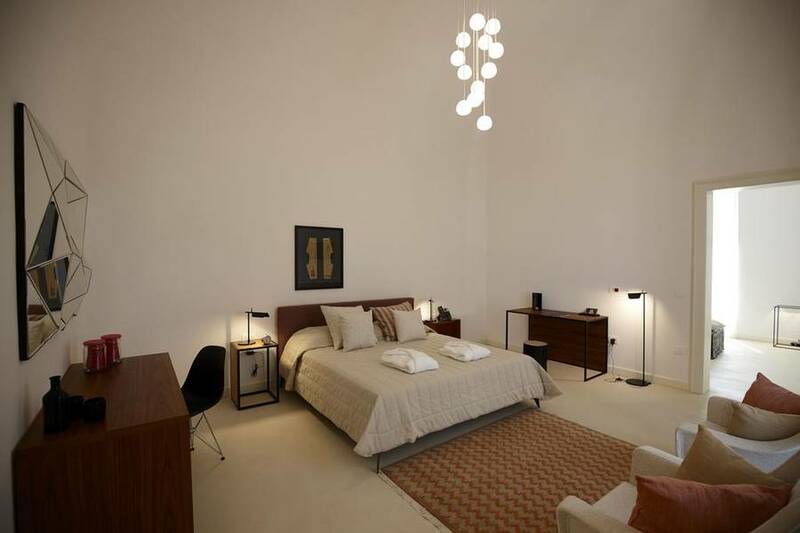 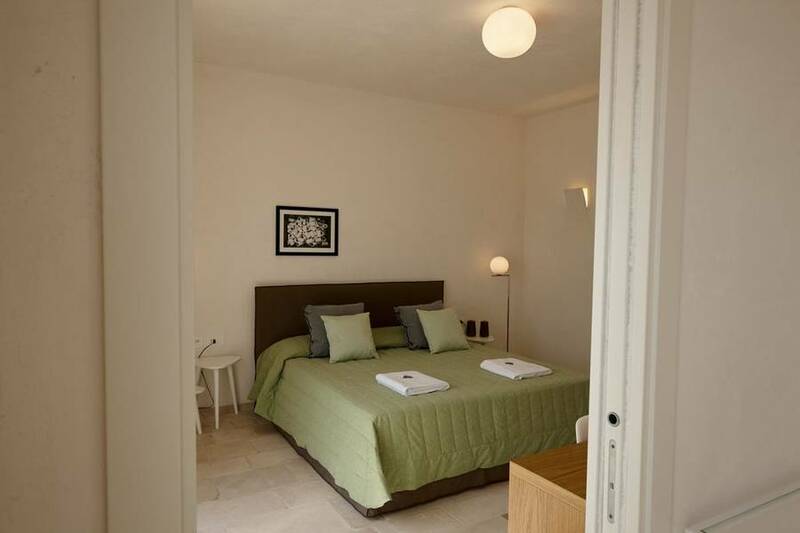 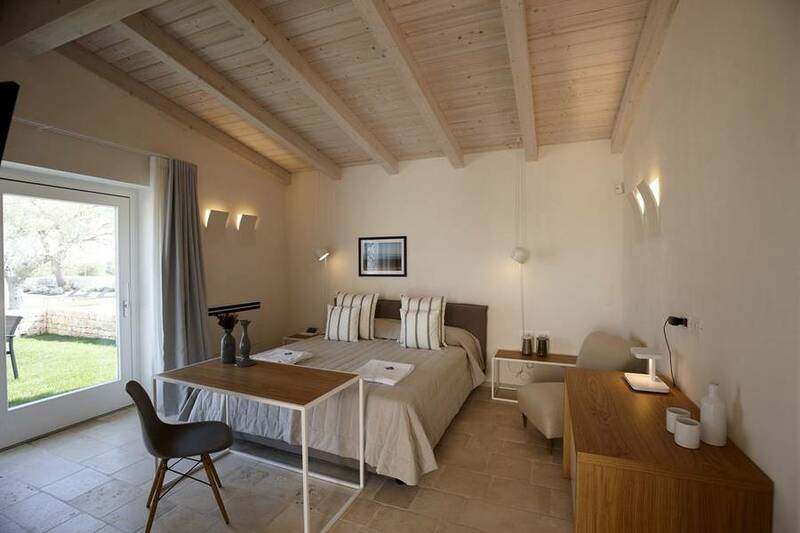 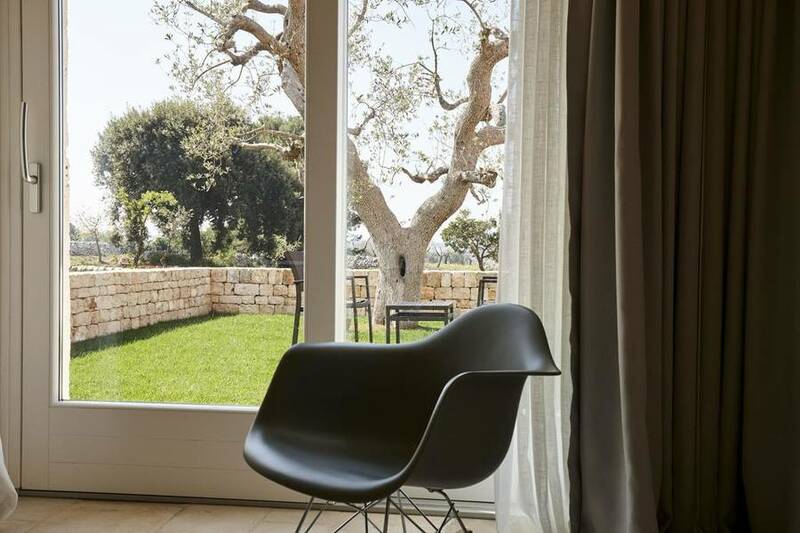 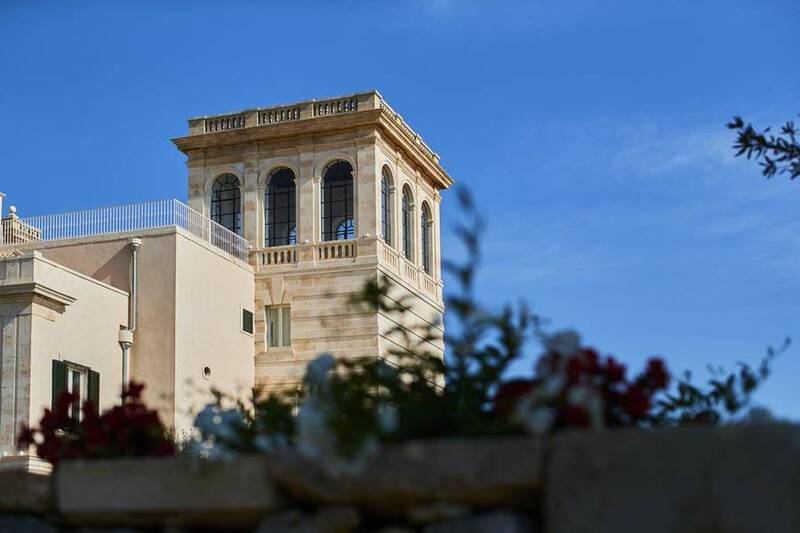 The resort has 4 suites and 8 room in the main villa and elegant annex overlooking the garden, all with a sophisticated design with elements and decorations that pay homage to Puglia's traditional soft, neutral colors. 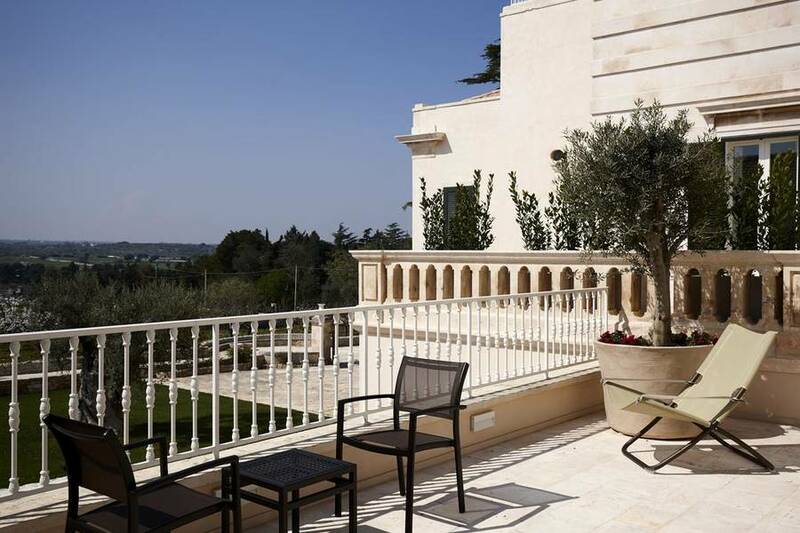 Treat yourself to the very best on holiday, and book the Suite Royal. 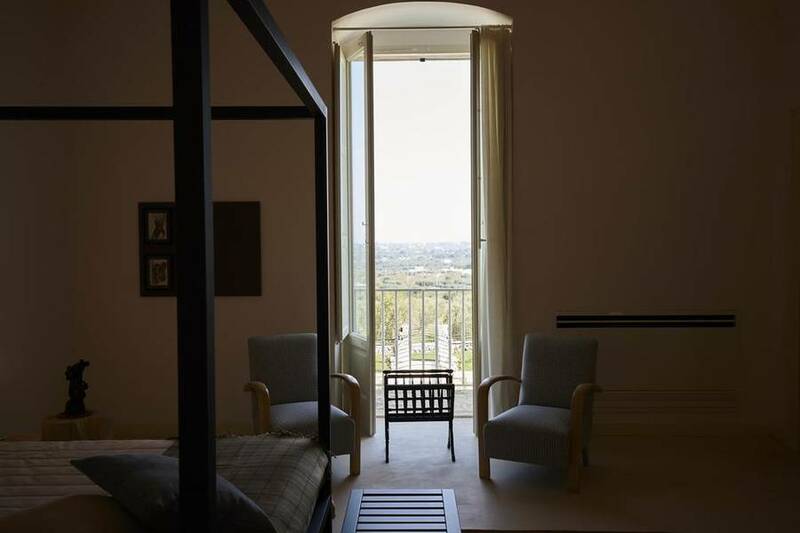 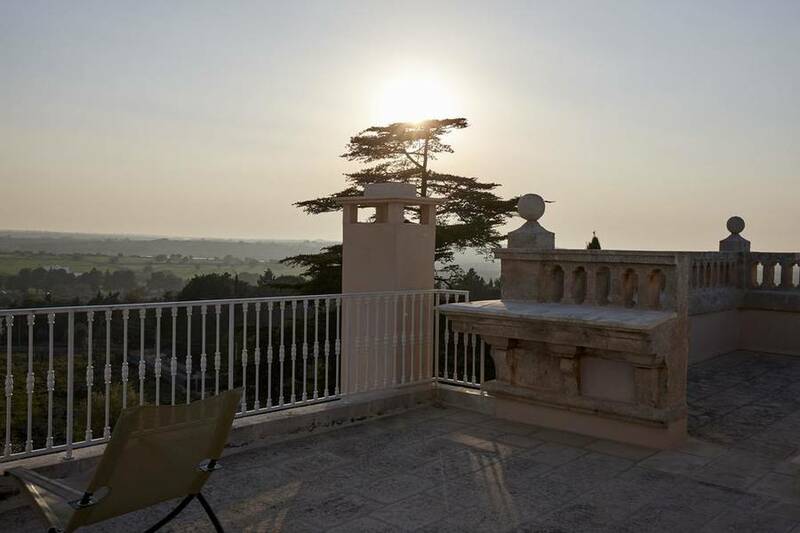 This luxurious suite is in the main villa padronale with exclusive access to the scenic Belvedere, the resort panoramic tower terrace with a private hot tub just for the two of you. 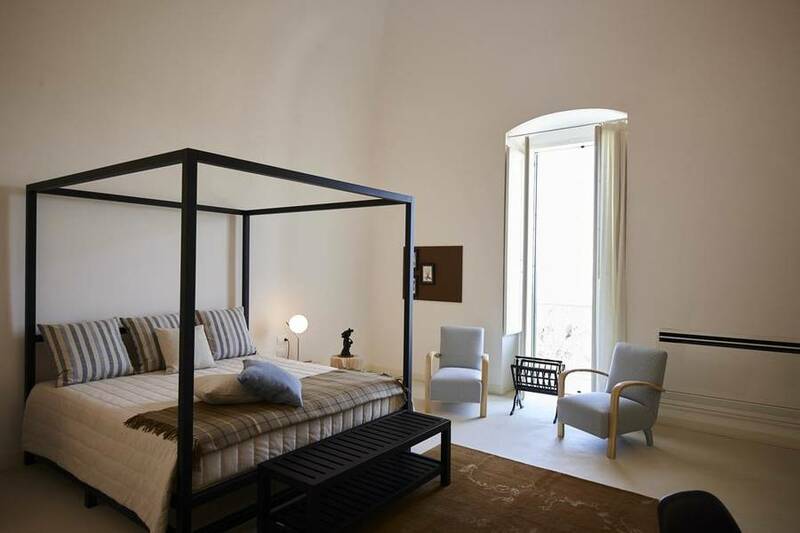 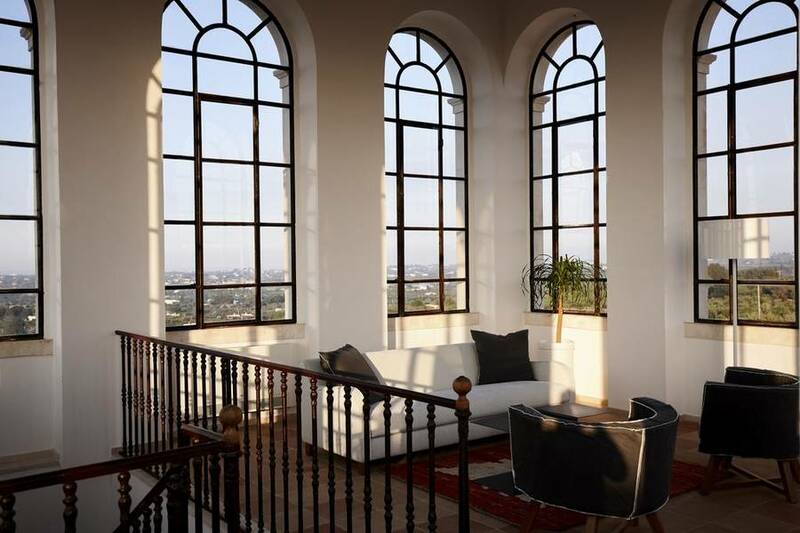 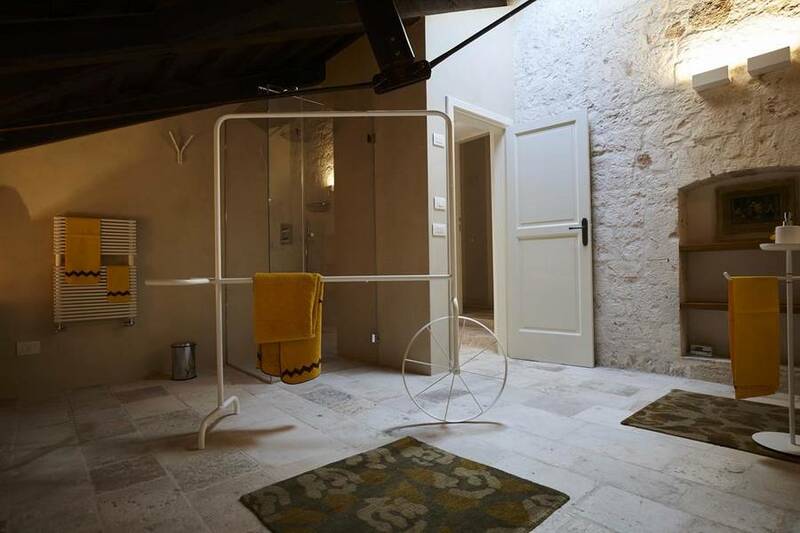 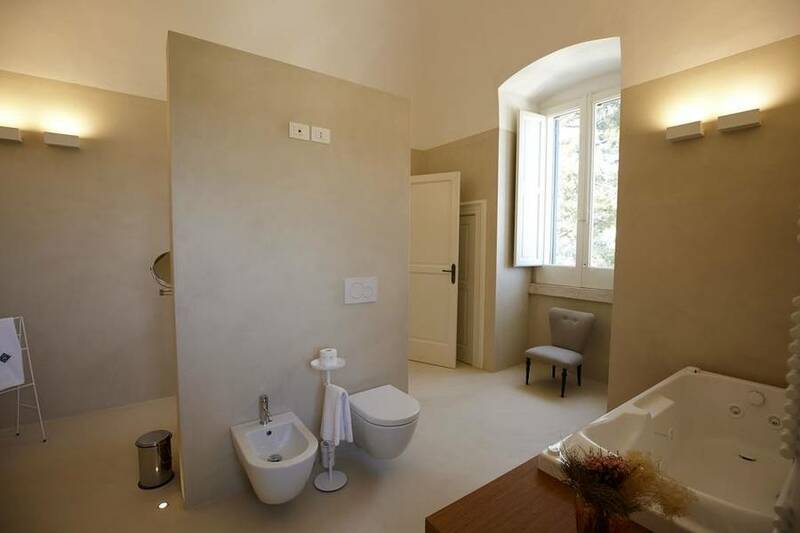 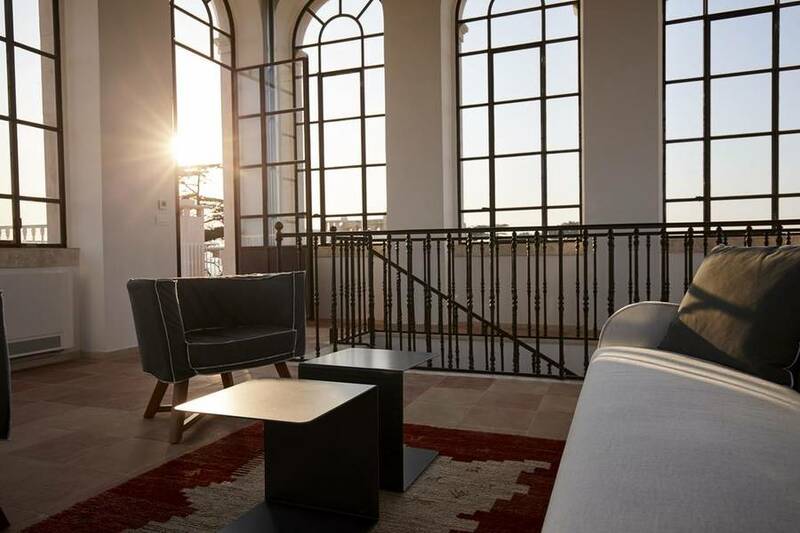 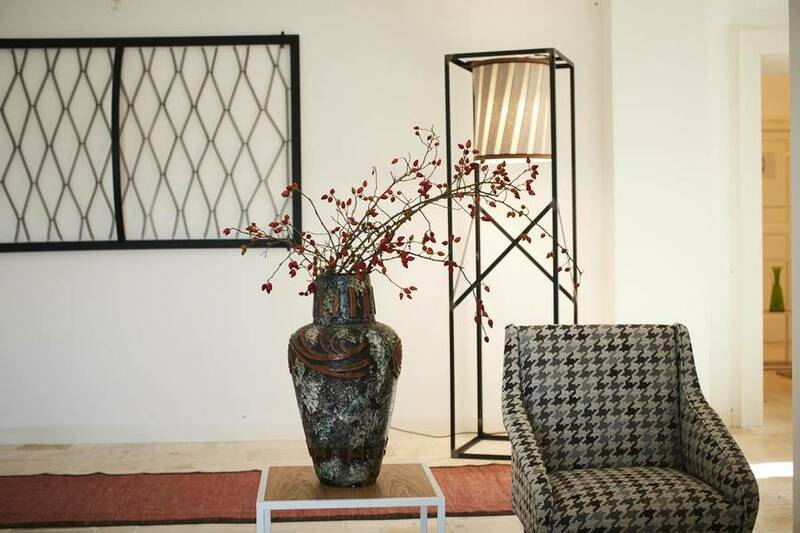 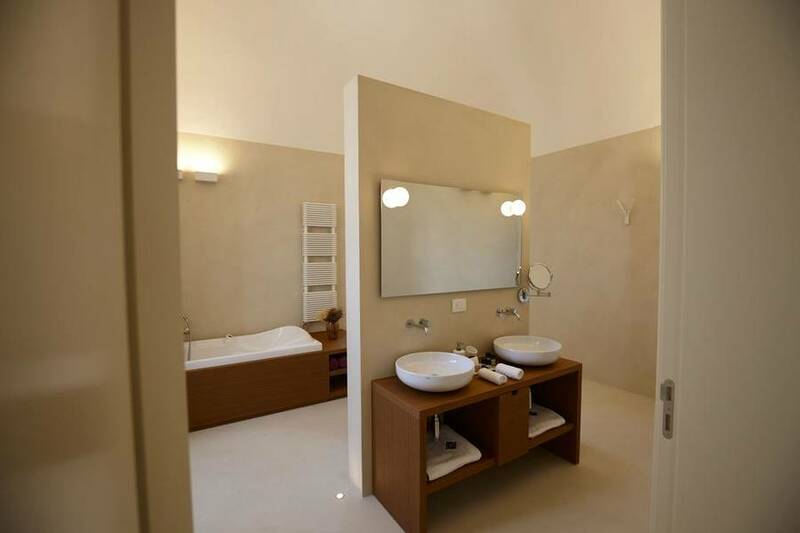 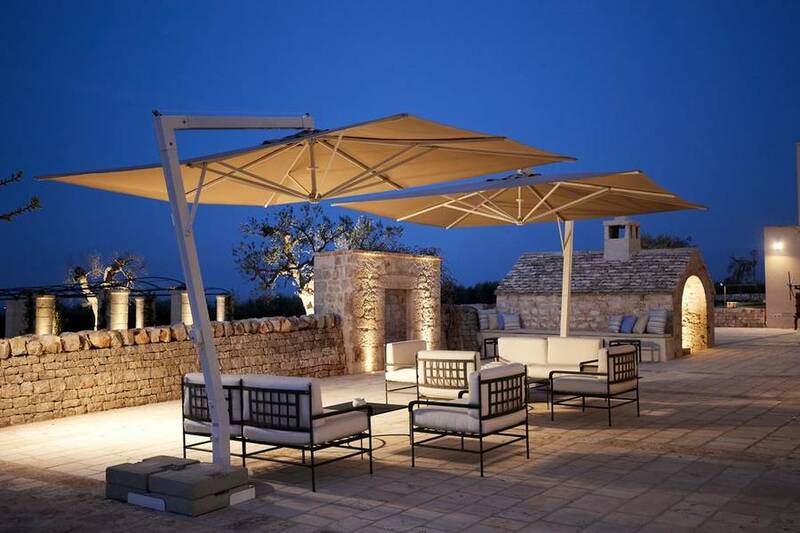 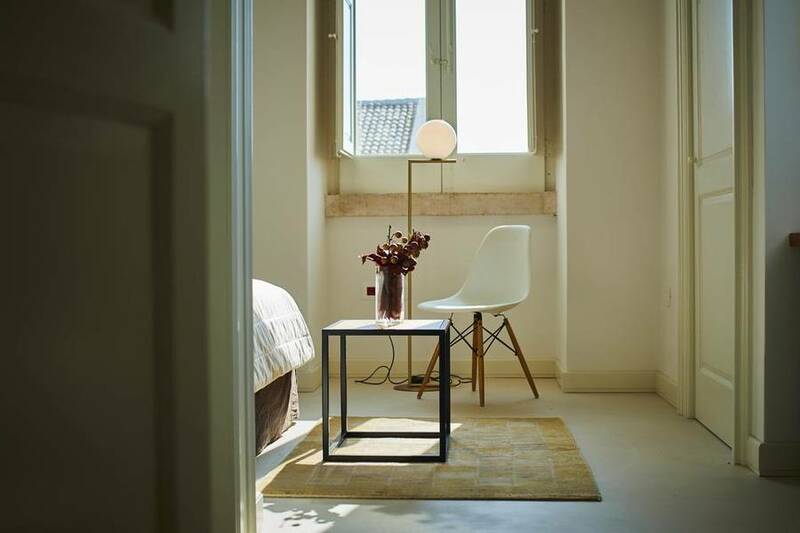 The Mazzarelli Resort not only uses exclusively Italian design and style in its interiors, but also promotes quality made in Italy products in the Stanza del Sarto. 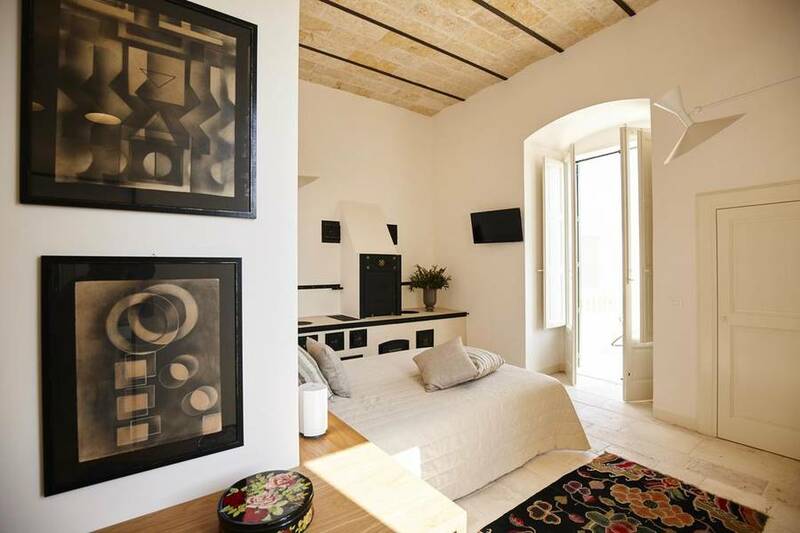 Guests can have custom handmade shirts created to their specifications while on holiday, thanks to the experience and skill of Signor Mazzarelli and his tailors. 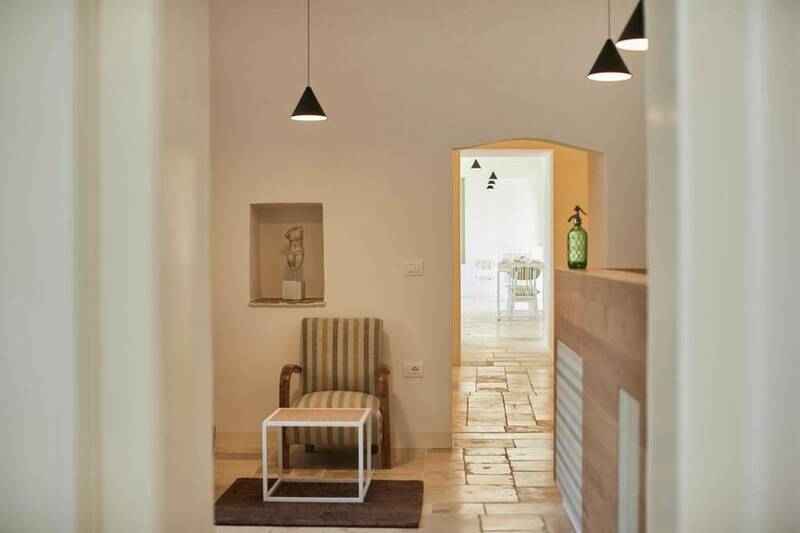 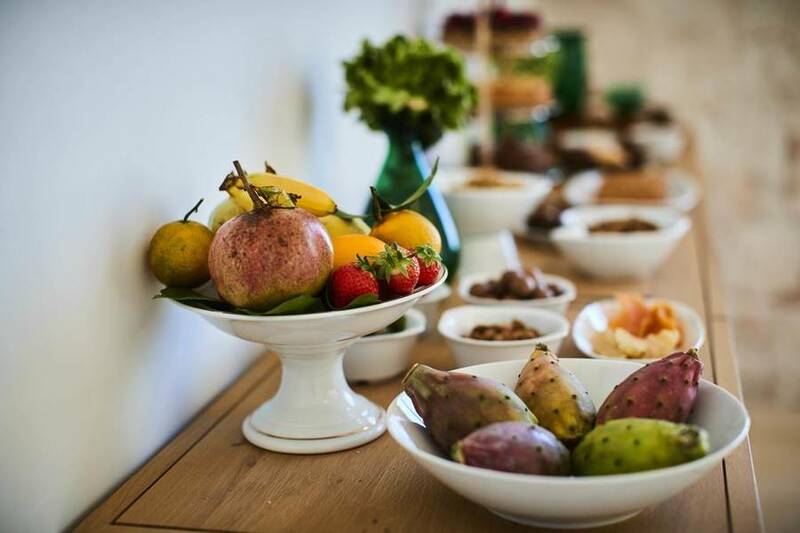 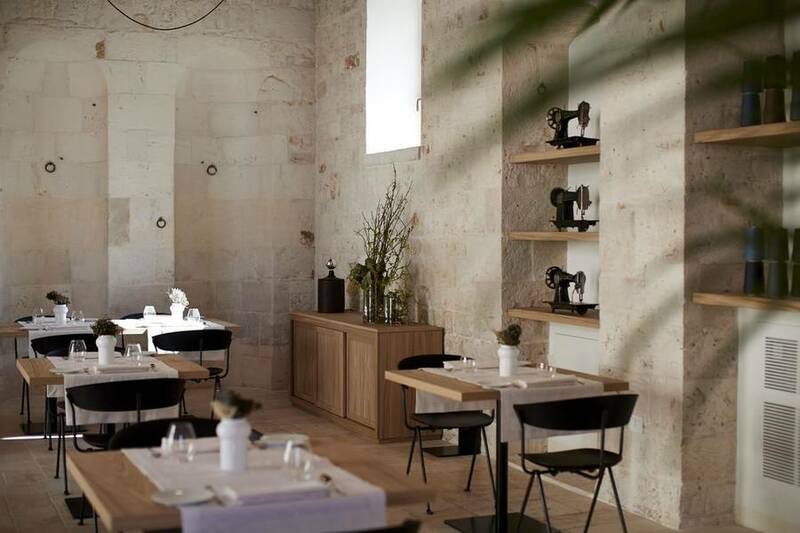 At Mazzarelli Creative Resort, you can sample the most authentic dishes from Pugia either in the lovely internal dining room with large picture windows and vaulted ceilings, or poolside. 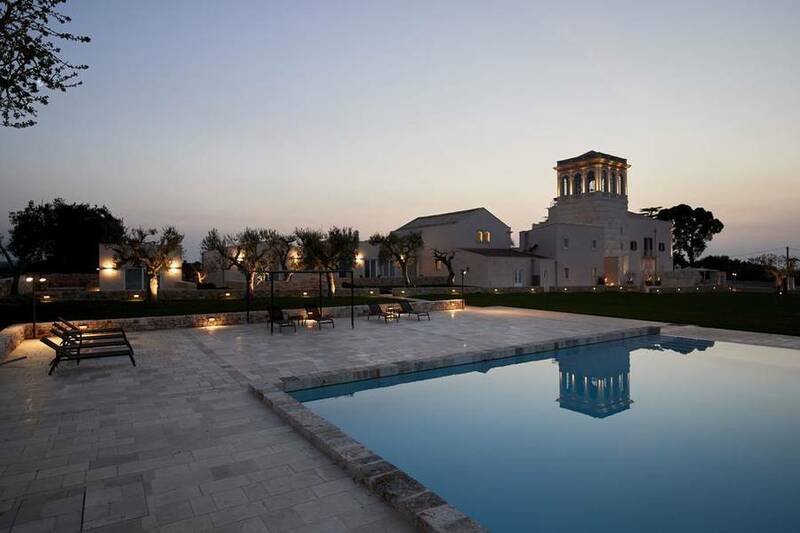 The resort's historic recipes are prepared with local and regional ingredients like fish from the southern Adriatic, meat from Murgia, and produce from the villa's own garden. 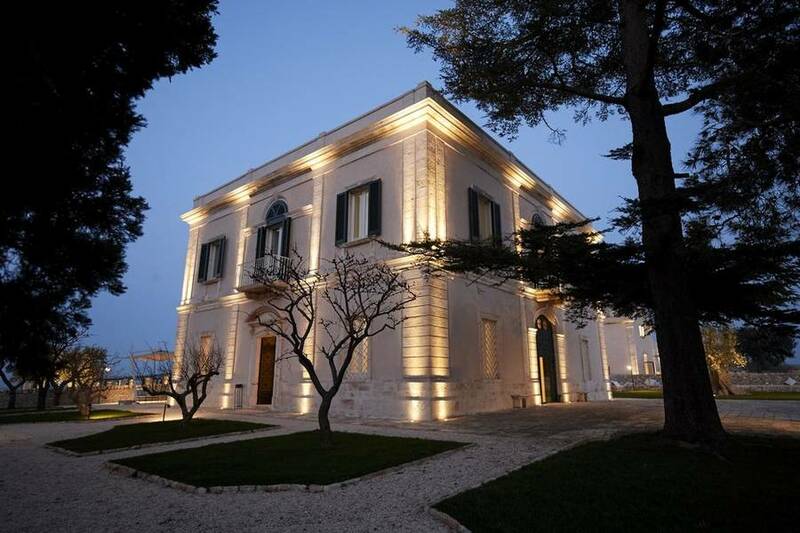 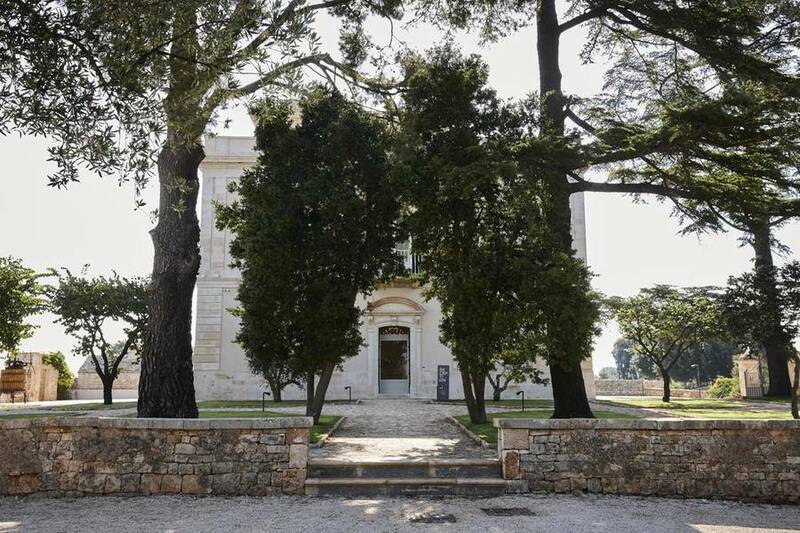 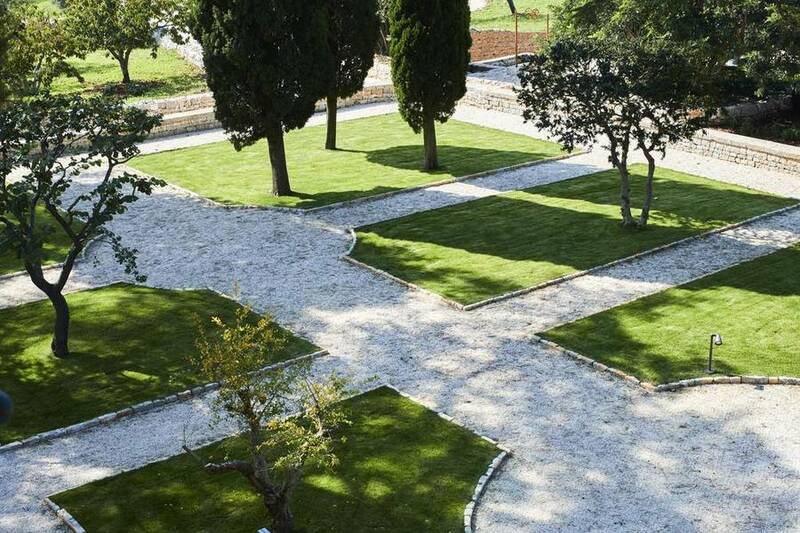 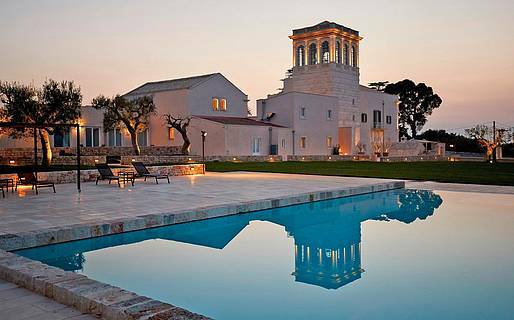 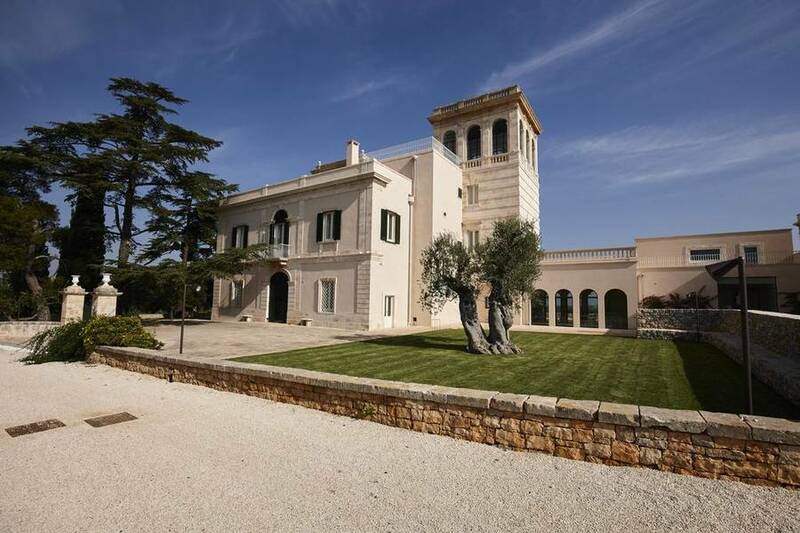 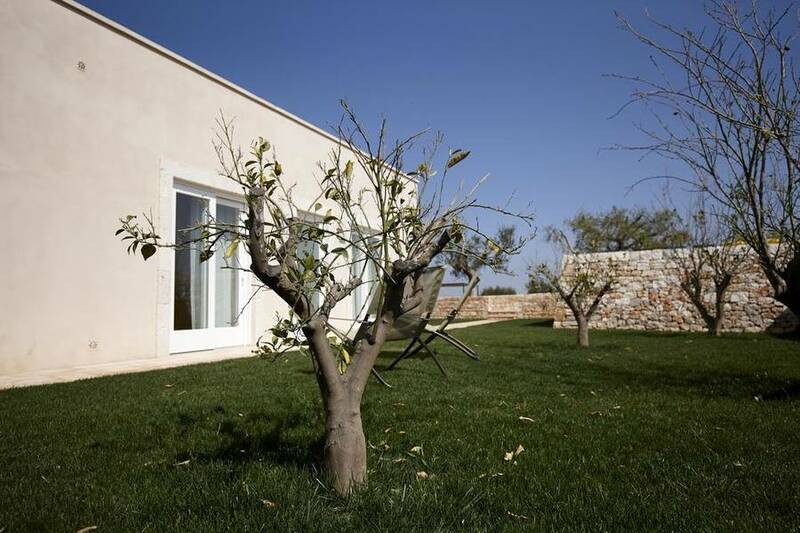 Mazzarelli Creative Resort is located in Triggianello outside Bari, surrounded by 2,400 olive trees on 20 hectares. 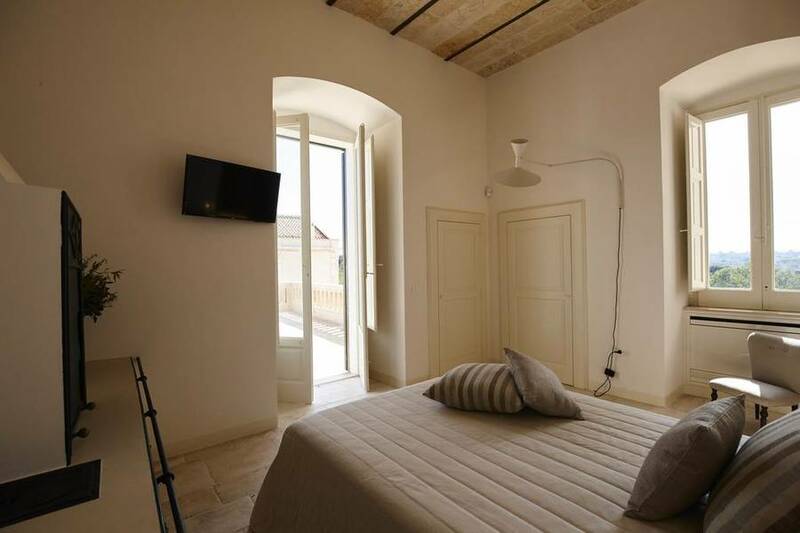 Polignano a Mare is just minutes away by car, Alberobello half an hour, and Monopoli 12 kilometers.